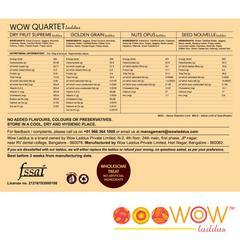 To order directly by Cash on Delivery, you can SMS/Whatsapp/call on +91 99461 04507 or send email to management@wowladdus.com. To order directly by Cash on Delivery, you can SMS/Whatsapp on +91 7666959081 or call +91 7666959081/+91 9136042525. 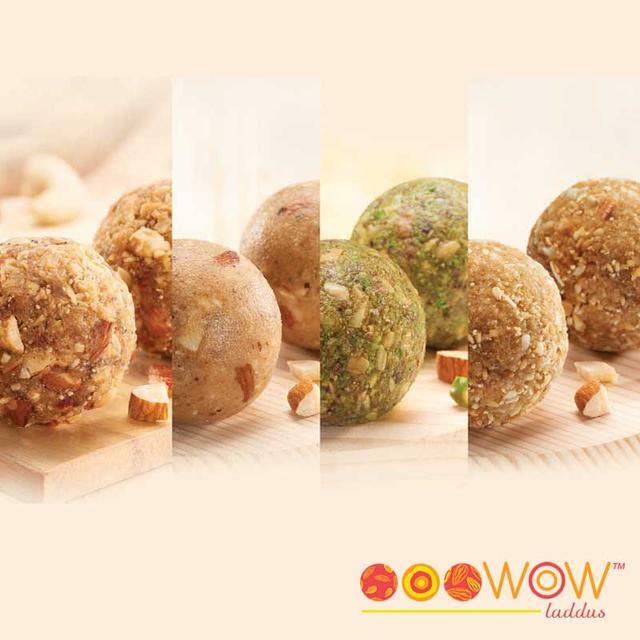 A delicious overload of awesomeness with an exquisite assortment of Dry Fruit Supreme, Golden Grain, Nuts Opus and Seed Nouvelle laddus. Yes, four types of laddus. Bursting with rich dry fruits and nuts, a feast in every bite. Gold standard whole wheat in a duet with gloriously crunchy and rich nuts. A delicious overload of awesomeness with an exquisite blend of the crunchiest richest nuts. 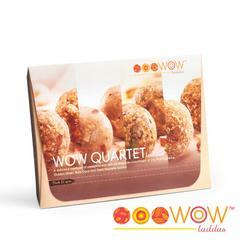 Endlessly entertaining seeds like sesame, poppy, melon and cucumber, in a tango with badam and cashew.